Under close supervision, performs a wide variety of tasks associated with the collection, processing, tracking, handling, and safekeeping of crime scene evidence for the Odessa Police Department (OPD); performs duties in compliance with state laws and OPD policies. Responds to crime scenes as directed, and assists OPD officers with investigations by processing the crime scene for evidence; collects and preserves crime scene and accident scene evidence to aid in the prosecution of criminals and crimes; performs work in compliance with state laws, City policies and OPD quality standards, duties may vary according to job assignment and training. Collects, preserves, logs and secures evidence as directed by officers and investigators; documents all handling of evidence and property; maintains activity logs and generates reports as needed. 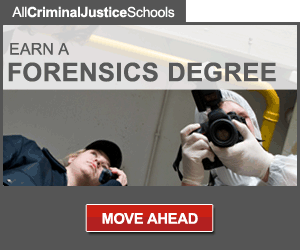 Assists with the identification of evidence at crime scenes, and mapping off the crime scene. Assists with documenting crime scenes by taking photos and video as directed by OPD Officers and other law enforcement agencies; responds to requests for photographs and videos. Receives property and evidence from law enforcement officers, documents receipt of items; maintains the chain of custody from intake to disposition. Collects fingerprint evidence and enters the information into Automated Fingerprint Identification System (AFIS). Creates case notes and narrative summaries; maintains logs of services, cases and information requests; requests additional information from OPD sources in order to supplement case notes. Assists and coordinates with other emergency services personnel, outside organizations and businesses and Federal, State and local law enforcement organizations. Maintains the absolute confidentiality of all records and information. One year of computer experience. Successful completion of a background investigation and polygraph is required. Rules for collecting, preserving, processing and securing physical evidence. Federal and State laws governing the entry, storage and transfer of evidence and property. State and Federal Laws; regulations and statutes governing management of property and evidence. 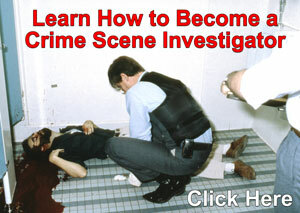 Principles and practices of photographing and documenting crime scenes. Police radio, dispatch, and communication protocols and procedures. Principles of record keeping and confidential records management. Geography, roads and landmarks of City and surrounding areas. Packaging and organizing numerous items of evidence in an orderly fashion for storage and retrieval. Carefully collecting, processing and preserving crime scene evidence. Closely following verbal and written instructions. A valid Texas State Driver's License is required. Additional technical training and certifications may also be required for some incumbents. Work is performed in a standard office environment, and indoors and outdoors at crime scenes; must maintain a level of physical fitness to meet Department standards. Subject to 24-hour call, seven days a week including Holidays, out to crime scenes to collect and process criminal evidence. Typing test, 20 wpm with 10 or less errors.